Will War of Words between China and US Grow into a War of Deeds? What if China shoots down a US warplane or sinks a US warship when the warplane or warship enters the airspace or waters claimed by China? Will there be a war? China shows off its strategic nuclear force to show its will to fight in defense of its sovereignty not only a conventional but also a nuclear war. Is that but bluffing? I do not know, but there is real risk of a war between China and the US if the hardliners in either of the two prevail. No one knows for sure whether there will be a war or the scale of the war if a war really breaks out, but the tension between China and the US in the South China Sea is a reality. The New York Times gives a vivid description of that in its report today titled “China Blames U.S. Military Actions for Tensions in the South China Sea”. It means the US will enter the airspace and waters claimed by China in disregard of China’s pretests as the US regards it as normal cruise of its warplane or warship and free of tension. What if China does have shot down or sunk a US warplane or warship when it has entered the airspace or waters claimed by China? Is the US prepared for a war with China? Certainly, US military is always ready. After all it is much stronger than its Chinese counterpart. What about US Congress and US people? Are they prepared? Let’s hope the war of words will not grow into war of deeds. Article by Chan Kai Yee in response to The New York Times’ report. US Pacific Fleet Commander Adm. Swift seems wanting a war with China as he has said that he would attack China’s artificial islands when US president had given the order. However, I don’t think the US will start the war without EU support though Japan wants quite urgently a war between the US and China. That is obvious. Japanese Prime Minister Abe regards China’s rise as a threat and wants US to stop the rise by attacking China. According to the report, David O’Sullivan, EU ambassador to Washington, said that EU shared US objective but there were limits for EU to make the statements the US had made. It is indeed implied criticism of US pivot to Asia to increase its military presence from 50% to 60% and US supplies of weapons to Southeast and South Asian countries. In a rare admonishment of a close ally, the United States urged the European Union on Wednesday to speak out more forcefully to support Washington in its dispute with China over building and militarization of man-made outposts in the South China Sea. Amy Searight, U.S. deputy assistant secretary of defense for South and Southeast Asia, said Washington welcomed EU calls for a peaceful resolution of territorial disputes in the sea and respect for international law. But there was “somewhat of a difference of approach” when it came to Washington’s call for a freeze on activity by rival claimants – something China has rejected. “It would be helpful if the EU would be a little more clear in terms of backing up these principles,” she told a discussion on U.S. and EU policies toward East Asia at Washington’s Center for Strategic and International Studies. Michael Fuchs, U.S. deputy assistant secretary of state for East Asia, said there was a need to reduce the risks of conflict in the South China Sea, where China has overlapping claims with several states. “This is about … speaking up when we see activity that is concerning,” he said. David O’Sullivan, EU ambassador to Washington, said the European Union and the United States had very similar objectives, but such statements were a judgment call. “Completely joining up language is sometimes useful and sometimes counter-productive,” he said. O’Sullivan said the European Union was concerned about security in East Asia and was adding a security dimension to its work, but made clear there were limits to this. Japan’s navy chief, Admiral Tomohisa Takei, told another Washington think tank that Asian countries needed to improve their naval capabilities and increase coordination given the South China Sea tensions. Japan, which is not a claimant in the South China Sea but has huge interests in keeping trade routes open and is in dispute with China over territory further to the north, could help to improve regional naval capabilities, he said. Japan eased an arms export ban last year and has since agreed to bolster security ties with several countries, including the Philippines, Vietnam, Malaysia and Indonesia, that share its concerns about China. Why Is China Busy Showing Off Its Mobile ICBM Troops Now? When US Defense Secretary Robert Gates visited China in January 2011, China showed its muscles by the first test flight of its stealth fighter jet J-20. 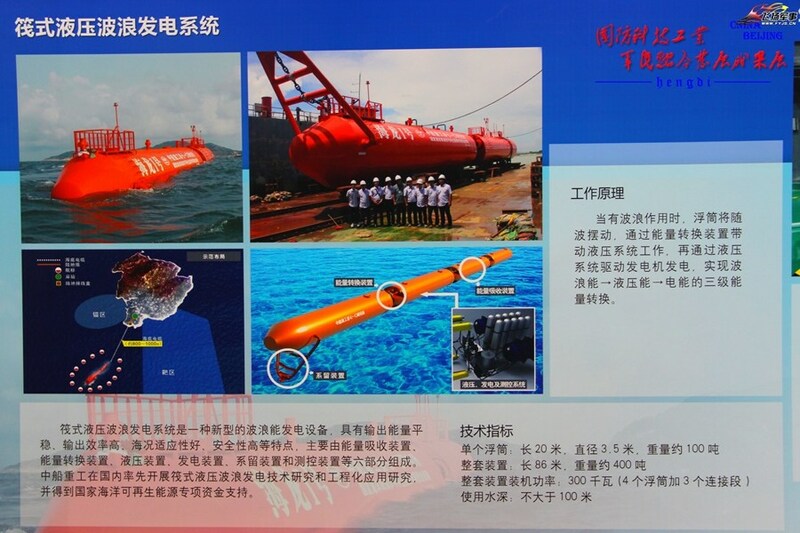 When the tension in the East China Sea might grow into a war, China’s top official media CCTV displayed in its primetime news footages about China’s strategic submarines from October 27 to 29, 2013 to tell the US that if US retaliated with nuclear weapons when China had sunk a US aircraft carrier, China had the second-strike capabilities of not only land-based ICBMs but also SLBMs from its strategic nuclear submarines. US Defense Secretary Hagel’s China visit from April 7 to 9 seemed friendly, but there was obvious tension in his talks with senior Chinese generals. 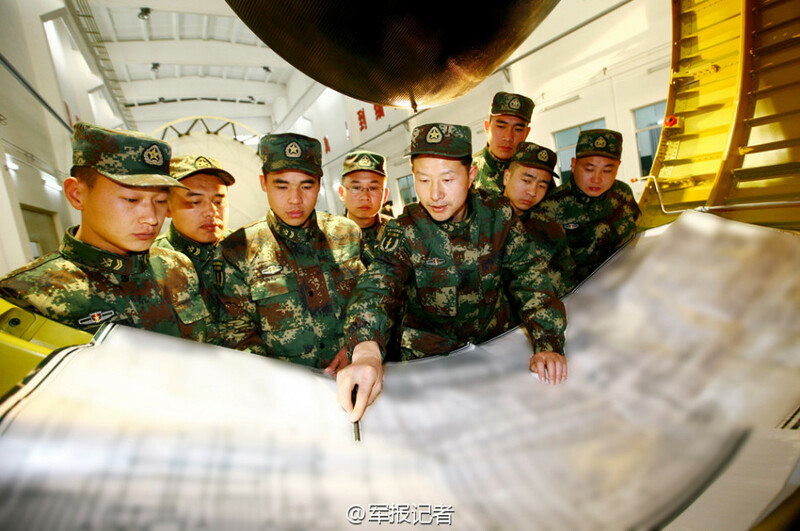 No wonder, on April 18, China showed off its mobile ICBM troops in its official CCTV’s primetime news report titled “Second Artillery Corp has enhanced its strategic deterrence by building up its real war capabilities”. Hagel’s criticism of Chinese actions in the South China Sea in his speech on May 31 proved the tension during his Beijing visit. 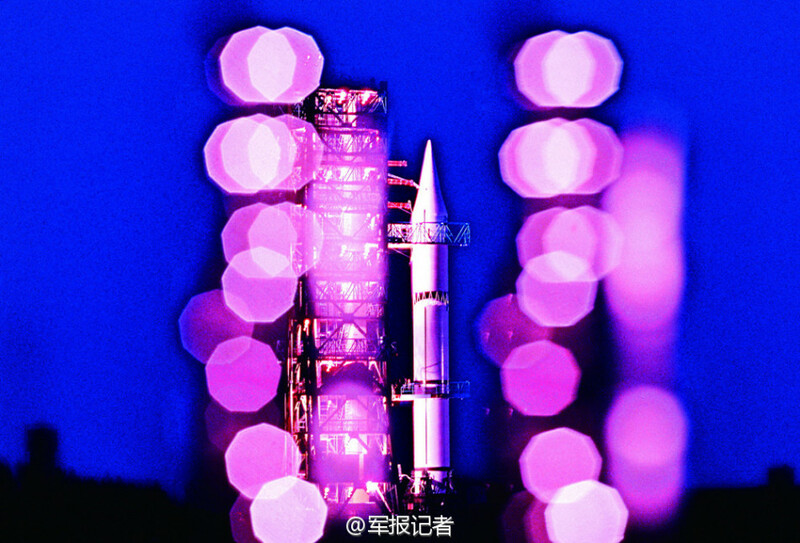 Now, why is Beijing busy showing off its mobile ICBM troops? For two days in succession on July 26 and 27, CCTV showed in its primetime news footages about a brigade in its Second Artillery Corp that has specialized in operating ICBMs for 56 years. 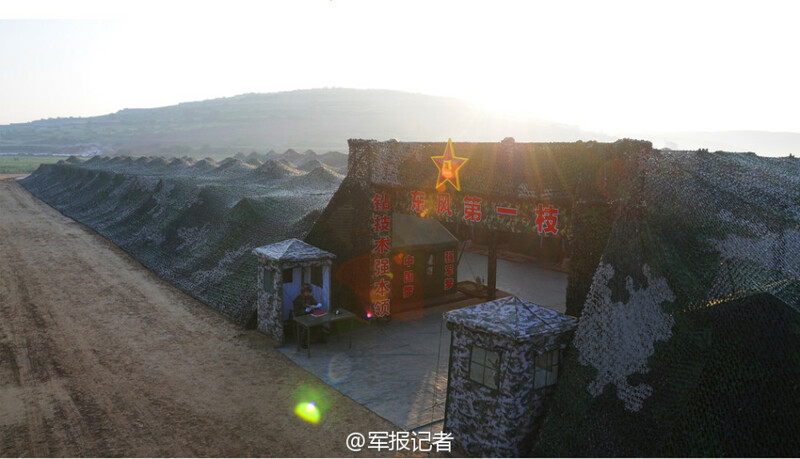 In addition, a reporter of Global Times visited the troops and writes a very long report on China’s ICBM troops. He has posted some rare photos of the troops in his microblog, which I post on top of this post. Lots of Chinese media including some Taiwanese media carry summary of CCTV and Global Times’ reports. We all know that the ICBM force is China’ well kept top secret. Why did China reveal the secret now? 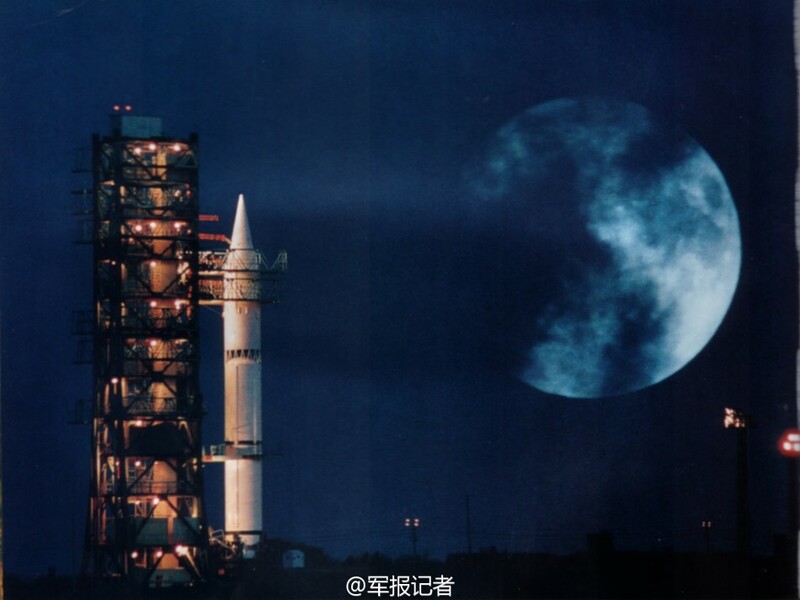 The most impressive footages in CCTV’s reports are about China’s ICBMs moving out at night into deep mountains in some of its many real-war drills to be erected and launched in very short time. All the reports describe the hardship of the troops’ life as they have to stay closed in tunnels in deep mountains for more than one month without sunlight. 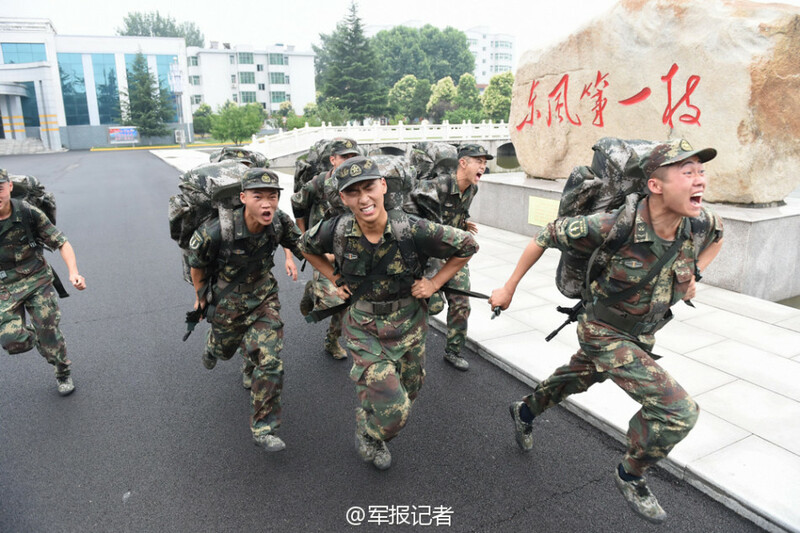 The reports also describe the good education and training the troops have received and the honor the troopers enjoy in having their ashes kept at Babaoshan Revolutionary Cemetery along with those of deceased senior Party and government officials. 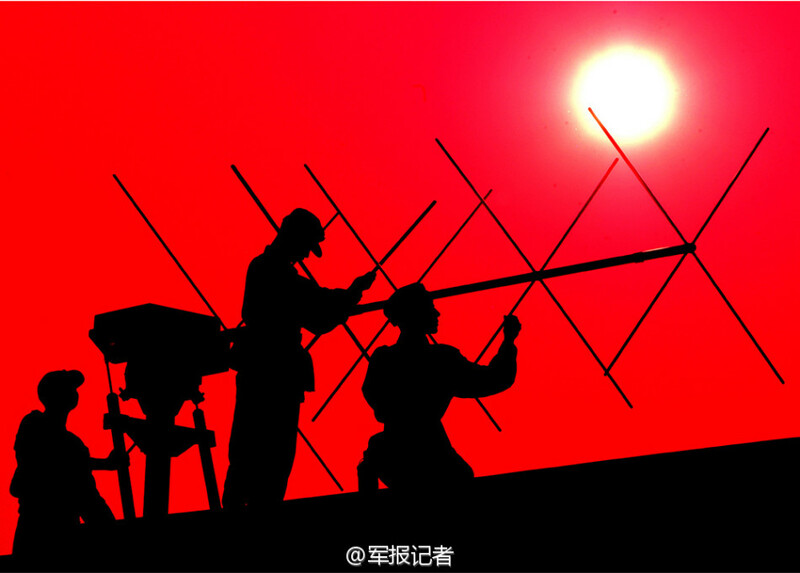 CCTV concludes its first report by saying that the troops “hide in the most secret recesses of the earth and are able to flash forth to attack the enemy from the topmost heights of heaven” (China’s gifted strategist Sun Tze words in his The Art of War). 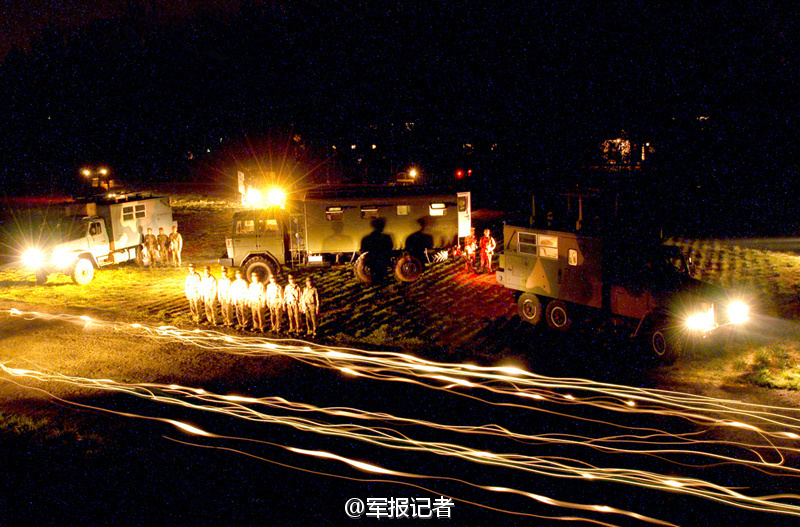 Why is Beijing busy showing off its mobile ICBM troops now? 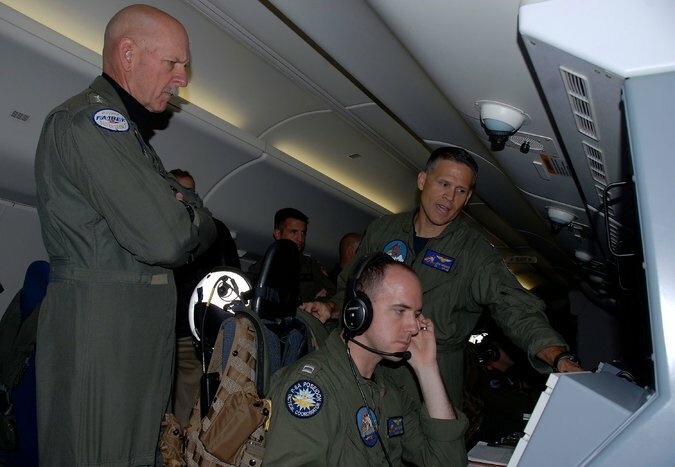 Recently, US Pacific Fleet commander Adm. Scott Swift has repeatedly provoked China by denying China’s claim to the area within its nine-dash line and threatened tat US warplanes would fly over Chinese artificial islands and US warships would enter the waters claimed by China. 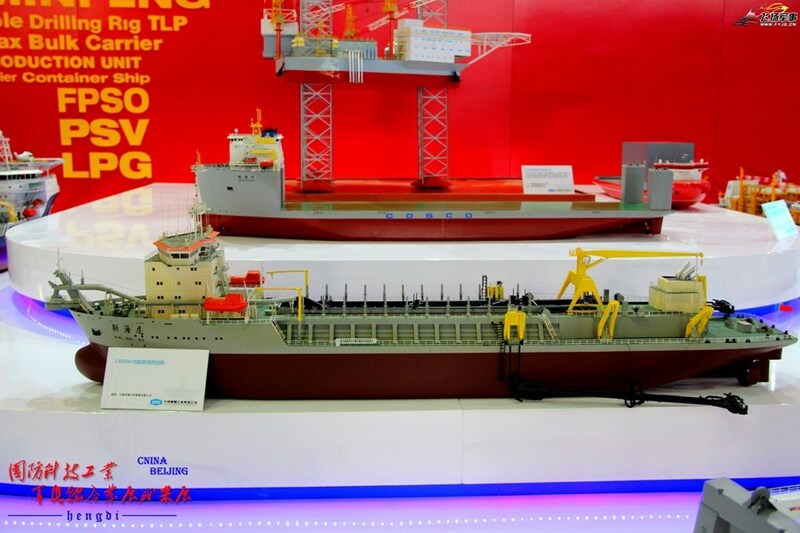 China certainly cannot tolerate such infringement on its territorial sovereignty. In fact in the past, China has shot down US aircrafts when they entered Chinese airspace and the US did not retaliate but keep the incidents confidential. Article by Chan Kai Yee in response to Chinese media reports on China’s strategic nuclear force. Cheng Yong and his assistants. Photo by Li Hao. 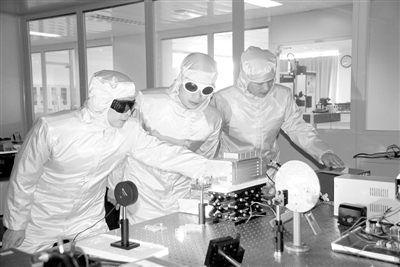 China’s Science and Technology Daily and ifeng.com both carry true story of China’s top laser scientist Cheng Yong’s marvelous achievements. What Cheng Yong and his team do is unique in entire PLA. They have been making breakthroughs in strategic technology vital to the development of photoelectric equipment such as adjust-free laser, DLC film prepared by laser deposition, coherent combination of mutual injection, etc. Cheng is brave in tackling the problems that even US experts find difficult. He made world first adjust-free solid laser. That achievement has made Cheng even braver. 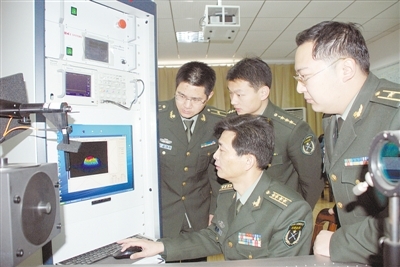 When he learnt in 2000 that China’s infrared window, the eye of China’s large weapon, was not hard enough to resist injury or chemically stable enough to resist erosion, especially became blind under hypersonic speed, he spent 4 years in developing DLC film prepared by laser deposition. At first, the film fails hypersonic test. He made unremitting efforts to improve the technology and finally mastered the key technology for such film in 6 years. 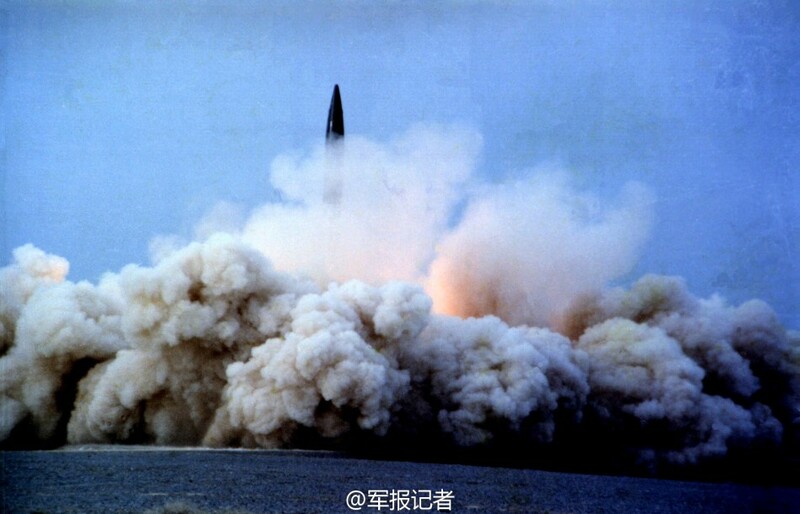 Ifeng.com says that the film was used in China’s new ICBM defense missile to increase its speed by 30%. 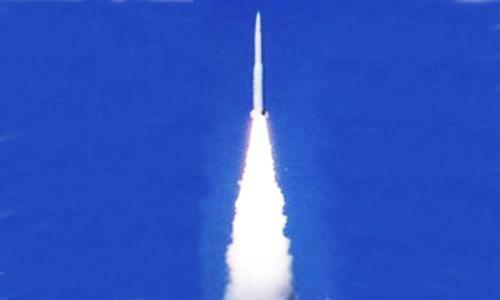 In 2011, the missile successful passed a test to intercept an ICBM in mid course. 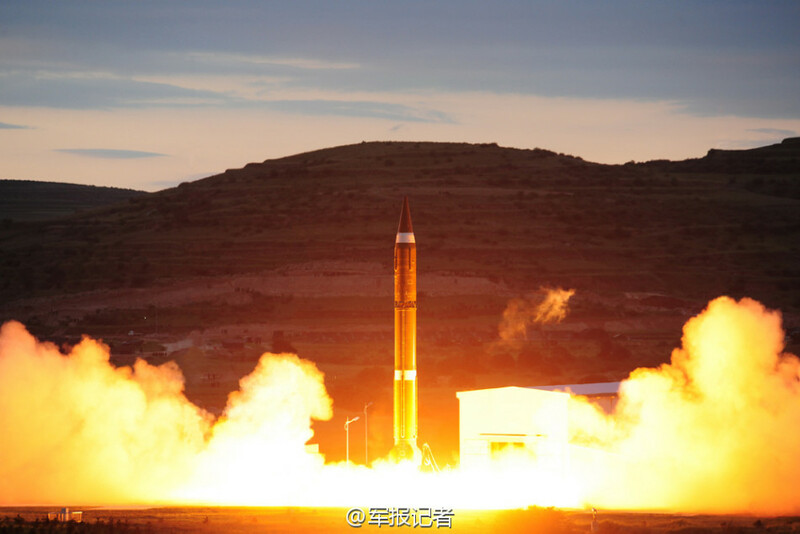 Foreign media call the new missile Hongqi-19. When rich and powerful international speculators attacked Hong Kong stock market during the Asian financial crisis, Hong Kong government interfered with its substantial foreign exchange reserve and the support of China’s central government. It defeated the speculators and made a huge profit. Because it had the best sources of information about the market so that it knew what level to buy with certain profits and because it has the financial ammunition for the battle. The situation now is the same in China, but the Chinese government has even greater power to defeat speculators. Because in addition to better information about the market and larger financial resources, the government is able to change the rules to support the market at will in disregard of speculators’ and foreign and domestic opposition. Some foreign media have cried foul for market freedom. Others have warned that international investors will leave Chinese stock market but all in vain. It is just the same with China’s construction of large artificial islands in the South China Sea. In spite of US strong warning of interference, Japanese threat of patrolling the area and Philippines’ seeking of arbitration, China continues its construction. Reuters’ report “Trapped in the market, China retail investors plot escape with government money” seems to predict that Chinese government may suffer too high losses as government has to buy retail investors’ stock holdings to enable them to flee the market. The report fails to see that the government buys at a level that it regards as profitable according to its information about major listed companies. Please do not forget that most list companies are owned and controlled by the government. When retail investors sell above the level maintained by government funds, the proceeds of their sales come from other investors instead of the government. The report is absolutely right in pointing out that greed is the driving force in stock market. That was why according to Reuters’ statistics, 10 million investors have opened new accounts and made huge investment in the market since May. What else the government can do? Buy more at the profitable level to make more money when the market rises like what Hong Kong government did during the Hong Kong stock market crisis. What is Chinese government’s motive? Greed? Certainly, but not for money but for popular support. China is conducting a thorough economic reform that has given rise to the teething problems of economic slowdown. China is now under heavy US pressure of interference in the South China Sea. Popular support is indispensable for the success of reform. It is even more vital for its potential war of defense against US interference. One thing is obvious in Reuters’ report: Chinese retail investors support government move to stabilize the market. It proves that the government has gained even greater popularity among the growing and increasingly influential well-to-do middle class that constitutes the majority of retail investors. In fact, it is not the Chinese government but international and domestic speculators who have to be warned: Their speculation to manipulate Chinese market will cause them to lose money to the Chinese government! One of millions of retail investors trapped by the market crash in June who prefer to hold losing positions rather than take a loss, Zhu is just waiting for indexes to rise so she can sell. “I will sell all my shares tomorrow if there is a chance,” said the government clerk, who almost hit the sell button last week after markets had recovered somewhat from June’s slump. But because she was still set to take a loss, she held on. “I am pretty sure that if the government does not come to rescue us, the situation will get much worse,” she said. Zhu’s way of thinking is so common there a Chinese phrase for it. “Tao lao” once meant being captured by a lasso, but is now most commonly used to mean “trapped in the stock market”, which implies an investor cannot sell out of a losing position. The logic is also the opposite of what wealth managers typically advise; better to take a loss and move the money into something likely to produce stronger returns. This highlights the risk Beijing faces in sustaining a market turnaround. Every time the government succeeds in pushing up share prices, an army of retail investors jump in to sell at their break even point, immediately knocking back market confidence. Given that retail investors conduct an estimated 80 percent of trades, that means the government could face a long, hard grind before it can stabilize markets. Chinese stocks more than doubled in the six months to May before crashing in June by more than a third, prompting a flurry of government inspired measures, including share buying, to stabilize prices. That calmed markets for most of July, before a sudden drop of more than 8 percent on Monday – the biggest one-day fall since 2007. “Monday’s plunge showed the Chinese authorities that even governmental measures have their limits. It’s anybody’s guess what else they can do to shore up market sentiment,” said Bernard Aw, a market strategist at financial spreadbetting company IG. While investors who bought before mid March are still in the black thanks to previous gains, a Reuters analysis of public data shows that another 10 million investors opened new accounts since April, helping push up China’s market capitalization by a net $4.5 trillion – until the bottom fell out in mid June. Those figures do not include existing investors who added to their positions during this period, nor the famously stubborn holdouts who are sticking to loss-making positions that are years old. Mrs Xu is one of them. She said she has been holding shares in China Life Insurance (601628.SS) since 2007, when it traded for around 75 yuan ($12.08) per share. The stock gained a bit during the recent rally, at one point crossing over 42 yuan per share but then fell back to around 28, and Xu is still holding on. “I thought I might be able to taking the losses back riding on this round of bull market, but it is still losing money so far,” she said, adding she is also holding onto loss-making positions she took earlier this year and plans to sell as soon as they break even. “Maybe I am too greedy,” she said. Both Mrs Zhu and Mrs Xu declined to provide their full names. To be sure, one upside for Chinese regulators is the “tao lao” mentality can slow selling in a falling market, explaining why there was so little popular outcry in June when nearly 40 percent of listed companies halted trading in their shares so they could ride out the crash. It could also explain why the government set a semi-official recovery target of 4,500 points for the Shanghai Composite Exchange, which would encourage investors who think this way to wait. The index .SSEC closed on Tuesday at 3,662.81 points. For Beijing, the biggest worry is that investors who were once patient are now so rattled by the big market swings that they are ready to accept losses just for peace of mind. “Yesterday all my stocks hit limit down and I lost 20 percent of my money. Today all my stocks fell limit down again!” said student Liu Fangrui. 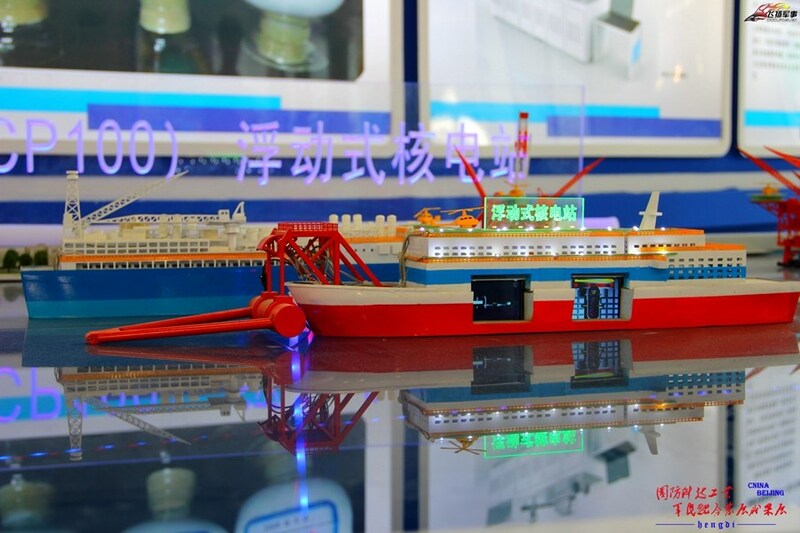 On July 25, I mentioned China’s alternative way to protect its trade lifelines at high sea in my post “China’s Creative Way to Control the Oceans”. 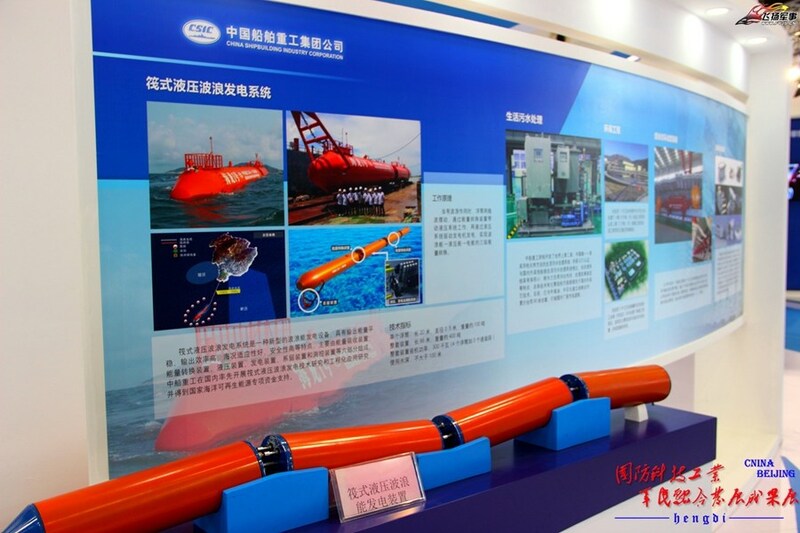 My post was based on Mil.huanqiu.com’s report on the exhibition of achievements in defense science, technology and industries obtained through joint military and civilian development that opened on July 16. 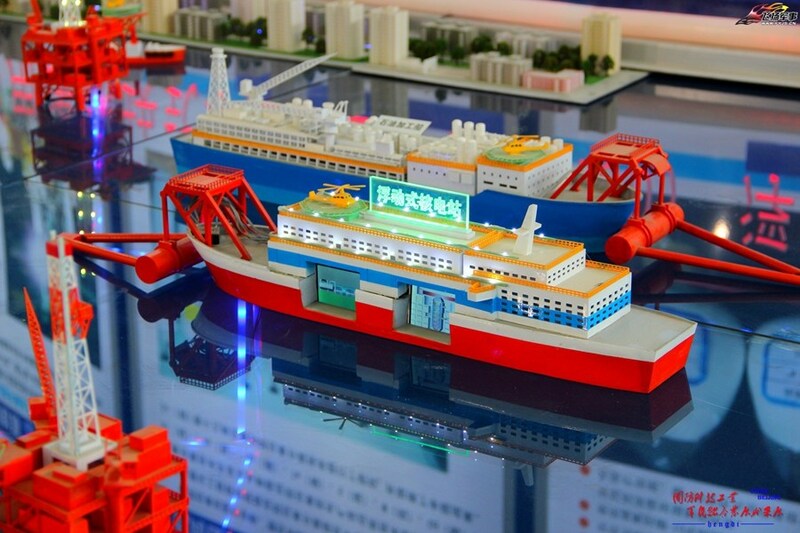 One of the important exhibits in the exhibition is the model of a huge floating artificial island that China plans to build in the ocean. 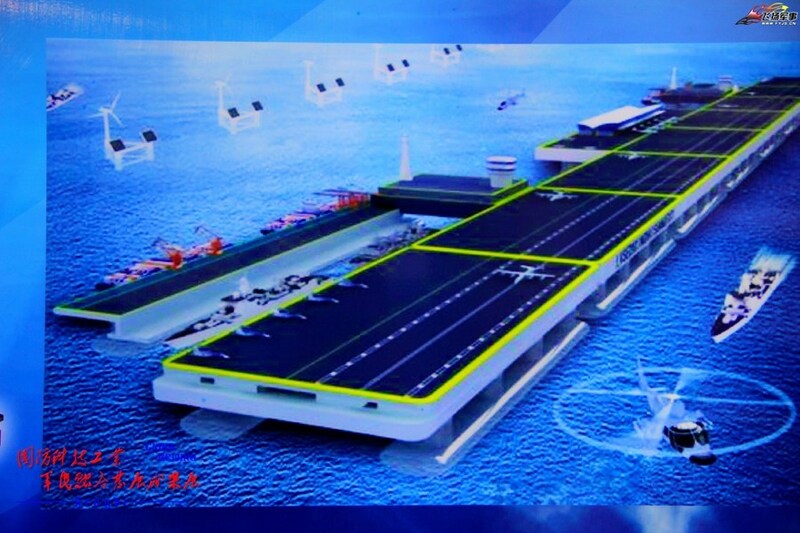 Such an island will be built by connecting pre-fabricated modules. 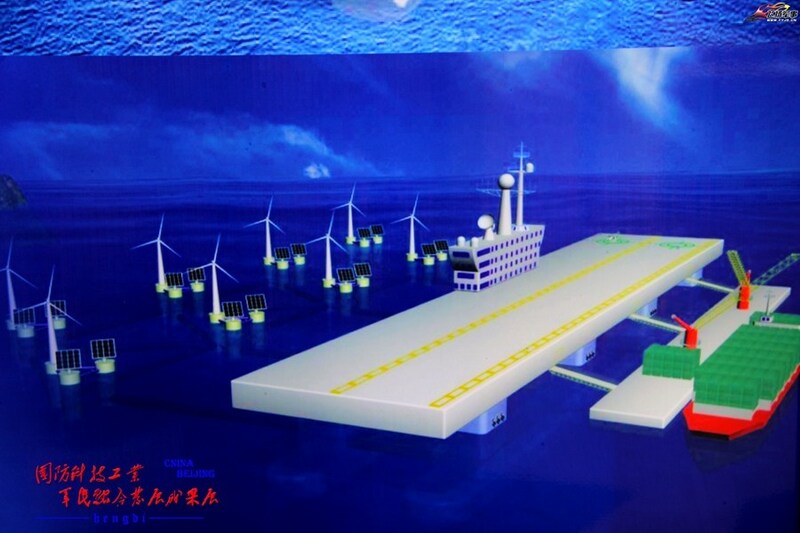 Its major platform will be 2,400 meters by 3,200 meters to contain a dock, floating shipyard, parking aprons and runway and a huge wind power plant to ensure its power supply. In peace time, the island is to be used for ship maintenance, fishery, fish farming, tourism, etc. and generates much cash income to cover the costs for the maintenance and operation of the island. As the island is large enough for deployment of lots of advanced aircrafts, missiles and artillery, most advanced radar, etc. in war time, it is able to defeat a dozen of aircraft carrier battle groups. China’s Silk Road economic belt and 21st century maritime Silk Road (One Belt, One Road) project is being implemented in an all-round manner in the parts of Asia to the west of China, where most countries have jointed China in building roads, railways, pipelines and other infrastructure. However, the largest country in South Asia, India, still fails to show any clear interest in the project in spite of China’s repeated invitations. Due to India’s vital importance for China’s One Belt, One Road project, Xu Yuanrong and Xu Boya of Chinese think tank CBN Research have jointly written an article titled “How Great Is Chinese-Indian ‘One Belt, One Road’ Cooperation Potential” on the prospects of India joining the project. The article has been published in quite a few important Chinese media. The article describes the importance of the project to China and India’s indispensable roles and potential in joining the project from the perspectives of economy, politics, geopolitics and China’s rise. 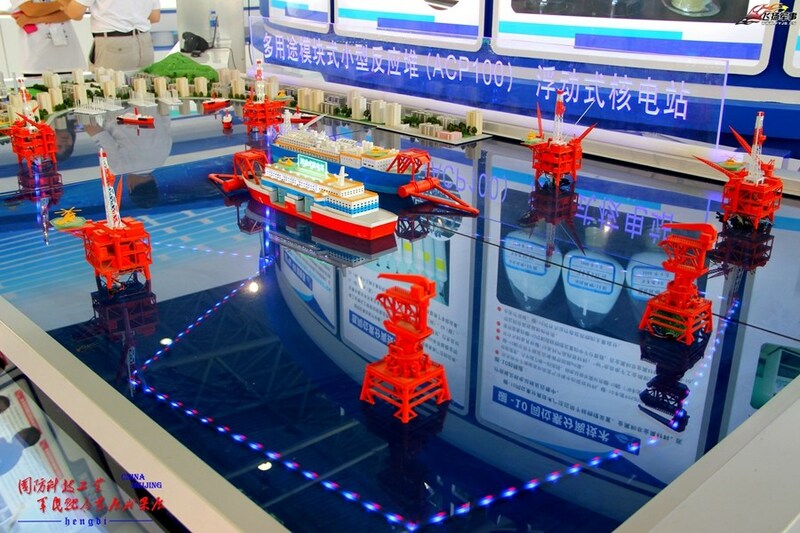 First, economically, China hopes to establish an economic area with participant countries through the construction of ports, maritime infrastructures, etc. 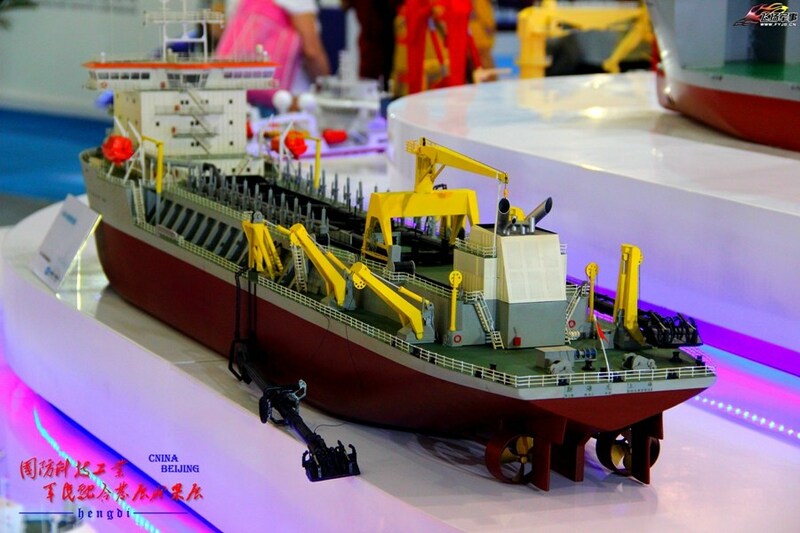 for export of capital, removal of its manufacturing industries to participant countries to utilize the cheap labor there for maintenance of China’s export competitive edge, intensify international cooperation in production capacity, realize its economic restructure and stimulate domestic economic growth. That will provide investment and industrial development opportunities for India. In this blogger’s post on Indian Prime Minister Modi’s visit to China, he described Modi’s special meeting with major Chinese entrepreneurs to invite them to invest in India. 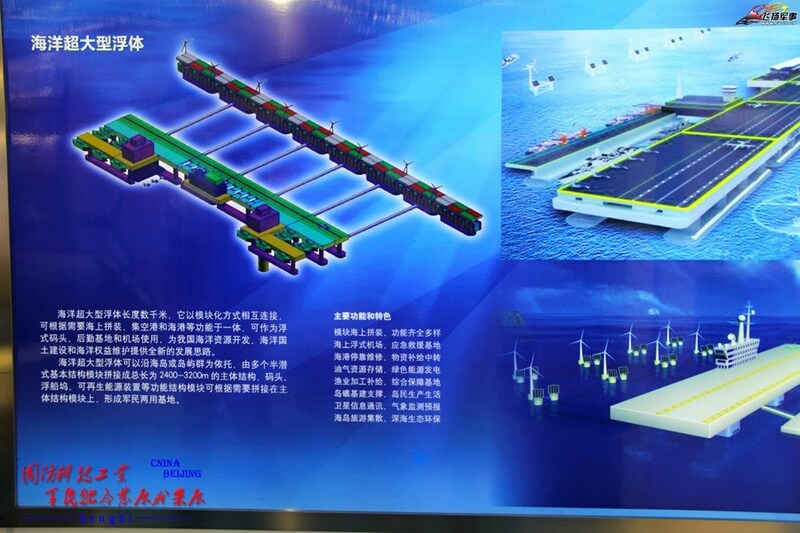 The project will establish and improve the transport connections by road, rail and sea among participating countries. That is very important for not only China but also India for trade development with India’s surrounding countries. The establishment of the India-Bangladesh-Myanmar-China economic corridor with high-speed rail link between the four countries will benefit both India and China, especially India if China has moved its labor-intensive industries to India. The rail link will provide an alternative route for cheap Indian goods to China to avoid potential problems in the sea route through the Malacca Strait. Second, politically, China will get allies and friends through mutual economic benefits and remove surrounding countries’ doubt and concerns about China’s rise and the treat from China’s rise that US and Japanese media are busily exaggerating. In geopolitics, the maritime Silk Road will enable China to have room of development in the India Ocean and remove surrounding counties’ concerns about China’s presence there. However, that is quite a sensitive issue for India. China has to make great efforts to build mutual trust with India and ease the tension between India and Pakistan through economic cooperation between the two countries. Last but most important, the article regards One Belt, One Road as China’s strategy to counter US strategies to contain China’s rise with its pivot to Asia and New Silk Road Plan (NSRP). If China has successfully won over India, it will be free to extend its influence in the entire Asian area to its west. On the contrary, if the US has won over India as its ally in dealing with China, China will have trouble not only with Japan and the US in the east but also India in its west. The article quotes Jawaharlal Nehru University well-known China expert B. R. Deepak’s commentary titled “One Belt, One Road: China stands at global geopolitical and geo-economic center?”. Mr. Deepak says in the article that China’s major moves over that past few years, including the Asian Infrastructure Investment Bank, Silk Road Funds, “One Belt, One Road” and the proposal on the Free Trade Area Asian Pacific (FTAAP) have put China in the center of global geopolitical and geo-economic stage and constrained US hegemony in Asian-Pacific Region. The article mentions quite a few Chinese scholars’ suggestions on the way to win over India as a participant in the One Belt, One Road project in order to dovetail the interests of both China and India. China has to make efforts to remove India’s concerns by satisfactory handling of the border disputes, the issues of China-Pakistan economic corridor and China’s presence in Indian Ocean, pursue connection between China’s One Belt, One Road with India’s Project Mausam and Spice Route. First, China has to pay attention to possible connection between India’s “Act East Policy and United States’ “Asian Rebalance” strategy, which may directly compete with China’s One Belt, One Road. For India, uniting with the US can contain China while for the US, uniting with India will enable the US to really return to Asia. That will certainly be bad for China’s rise. Second, China shall not be blind to the reality that as a democracy, Indian local governments have high autonomy to refuse to carry out central government’s strategy. As a result, in spite of India central government’s support, some One Belt, One Road projects may not be carried out due to strong local opposition. Like some other countries along the One Belt, One Road, Indian people lack understanding of China as a whole. Their impression of China is not favorable. It is due to Chinese media’s lack of influence in the world and the bad image set by the malpractices of some Chinese enterprises and people. China has to give prominence to its grand strategy of bringing concrete and real benefits to the people in both countries so as to win popular support and bridge the gaps. By so doing, China will establish sound foundation for its One Belt, One Road strategy in India society and public opinions.